Lovely Essex Rancher with Garage and Large Lot! A man's dream 2 car garage! 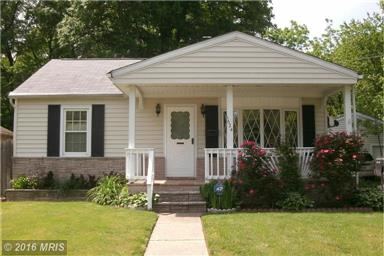 This porch front rancher sits on a 100' X 200" manicured lot (rear fenced) with loads of gorgeous plantings! Large covered patio, tons of counter space and cabinets, separate breakfast room and DR, wood floors under carpet most rooms, 2 SC ovens. Updates include: house & garage roof 2006, furnace 2007, HWH 2014, addition 2008. New carpet in LR, DR. Buyer warranty too.